Posted on June 2, 2015 | 2926 views | Topic : Featured, Featured Dev, Property News. 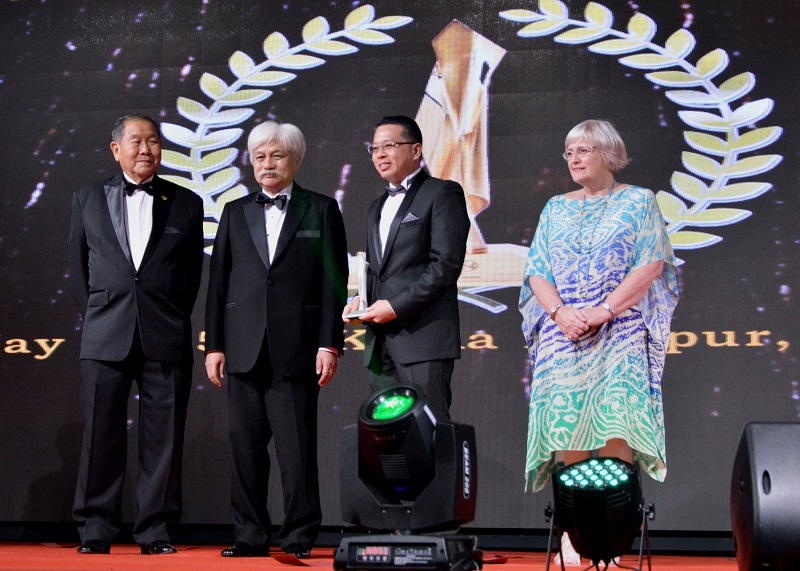 A WATERFRONT project by IJM Land Berhad, THE LIGHT Waterfront Penang, was conferred the World Silver Award in the Master Plan category at the FIABCI World Prix D’Excellence Awards 2015 gala night on 30 May 2015. IJM Land managing director Edward Chong said, “It is a great honour for us to receive this globally recognised prestigious award. 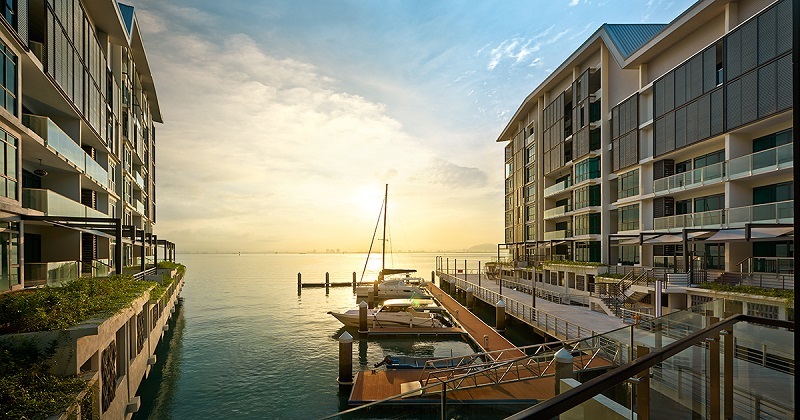 This award is a welcome recognition of our efforts and investment in design, sustainability and innovative technology, which will translate into healthier, sustainable and conscientious workplaces, homes and public spaces that benefit our residents at THE LIGHT Waterfront as well as the community in Penang”. The visionary development is IJM Land’s initiative to showcase the best in integrated waterfront living with residential, commercial, hospitality and entertainment components all housed in one dynamic hub. This involves work to reclaim over 152 acres of land. This project was conceptualised as a regeneration scheme for the Jelutong area. The Gross Development Value (GDV) for the entire development is RM6.5 billion. Silver award: (From left) FIABCI World Prix d’Excellence president of awards committee 2015 Ir. Yeow Thit Sang, His Royal Highness Yang di-Pertuan Besar Negeri Sembilan Tuanku Muhriz Ibni Almarhum Tuanku Munawir, IJM Land Berhad managing director Edward Chong and FIABCI world president 2014-2015 Robyn Waters posing for a picture at the event. The project has many firsts in Penang including a full integration of IP solutions for home automation through ‘fibre to the home’, integrated CCTV system to monitor site security, fully wired-up network with a fibre optic backbone, plug-and-play and other aspects of a green development for tomorrow’s generation. The development also earned Malaysia’s Green Building Index (GBI) certification for incorporating environmentally sustainable elements throughout the development. The project has been designed to be the heart of the community. Much attention was devoted to creating user-friendly facilities and promoting green and outdoor living for residents and visitors. Features include beautifully landscaped recreational linear park complete with amenities such as cycling tracks and jogging paths designed to cater to users of all age groups. The cycling tracks form the largest contribution to the State’s endeavour to build a cycling track all the way from Queensbay Mall in Bayan Lepas to George Town. Approximately more than 50% of the State’s cycling track alignment (total distance of 12.5km) is within THE LIGHT master plan. There is also a self-sustaining marine ecosystem of the waterways, which act as both a conservation and education tool. This effort is supported by the Turtle and Marine Ecosystem Centre (TUMEC), an agency under the Malaysian Fisheries Department. THE LIGHT Waterfront Penang was also named winner in the Master Plan category at the FIABCI Malaysia Property Awards 2014.